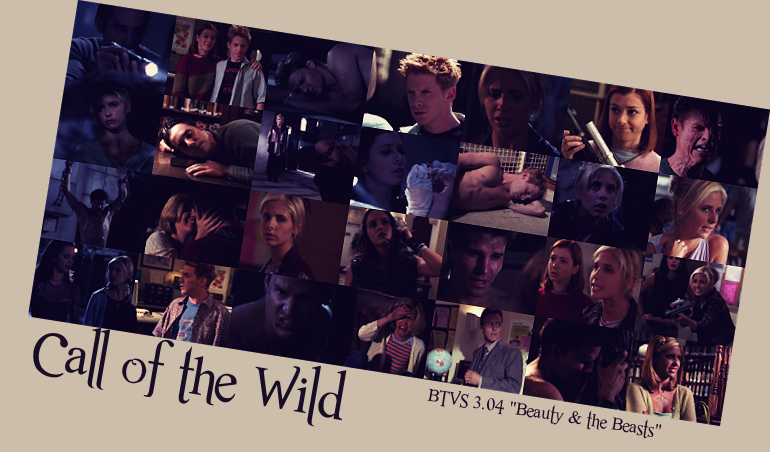 You've reached the only fanlisting approved by The Fanlistings Network for Beauty & the Beasts, the 4th episode of the 3rd season of the tv show Buffy the Vampire Slayer. If you are a fan of the show and the episode, please consider joining the listing! This fanlisting is not affiliated with Buffy the Vampire Slayer, or any other associated parties. This is a non-profit website. No copyright infringement is intended. Call of the Wild is run by Chrisie and Courtney and is best viewed in the latest version of Mozilla Firefox. Screencaps were found at Screencap Paradise.